Happy Friday, all! And, it certainly is a very happy Friday in our household. As you’re reading this, Ryan and I probably already are in the car on our way to Cedar Rapids, Wis., to begin a weekend of fun and celebration as two of our best friends, Megan and Adam, tie the knot! We cannot believe the day finally is here – they’ve been engaged since October 2012 – and we cannot wait to stand up next to them both tomorrow as they exchange their vows. Wherever you are and whatever plans you have for the weekend, I hope your weekend is a great one! Let’s jump into a recap of my week. 1. First off, I want to give a shout out to Biana as she is the winner of last week’s giveaway from Soaring Heart Vintage – your vintage, custom-made necklace will be in the mail to you early next week! Thank you to everybody who participated! 2. My business cards arrived in the mail earlier in the week! Vista Print did a heck of a job at a heck of a price. I guess I’m pretty legit now. 3. 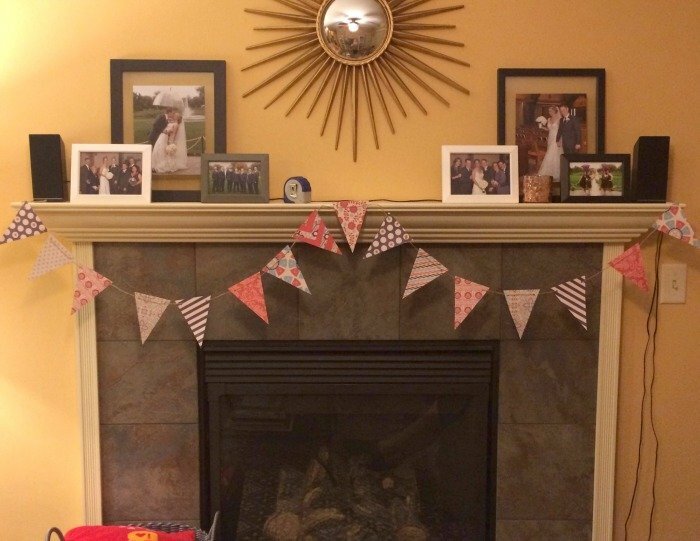 My sister made and sent me pennant bunting for our mantel! Isn’t it cute? The colors are a patriotic red, white and blue theme, so it will be perfect up there all summer long. 4. If you follow me on Instagram, then you know I finally got in for my long overdue hair color and cut appointment. 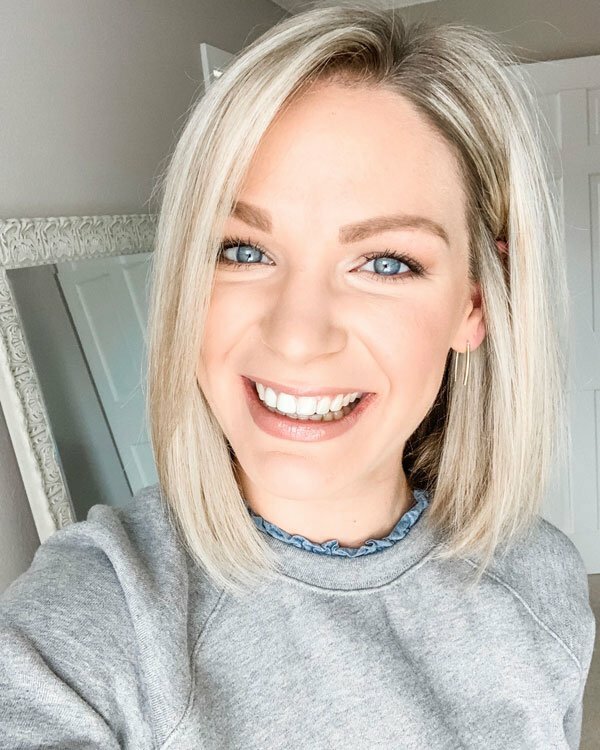 I went to a different salon than I first went to when we moved here, and wow – I am blown away by my new stylist, Kerri. She translated everything that I wanted onto my head with perfect execution. 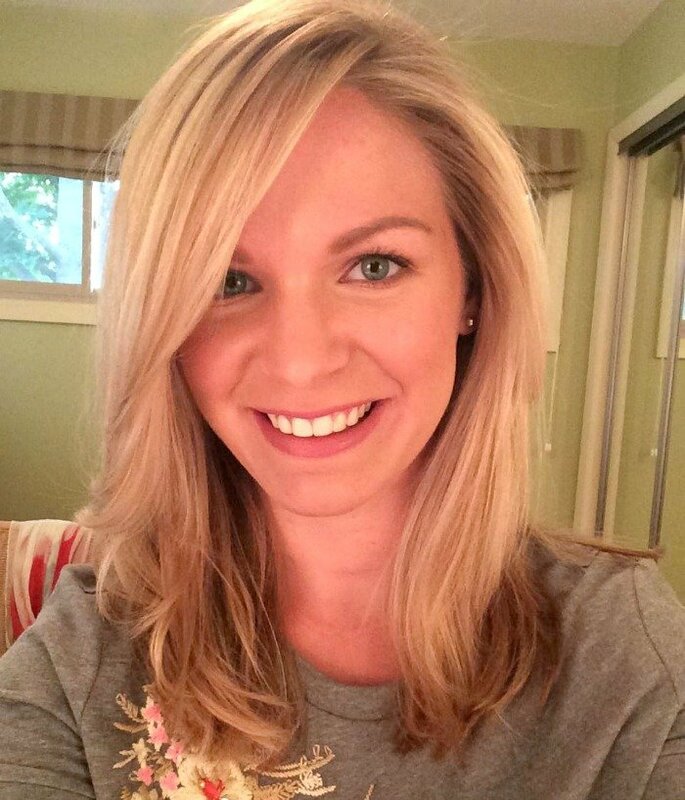 I couldn’t be more thrilled with my new ‘do – I literally feel like a new person! 5. With Ryan off work since Wednesday at 1 p.m., we were able to go out and get the rest of our puppy errands done! 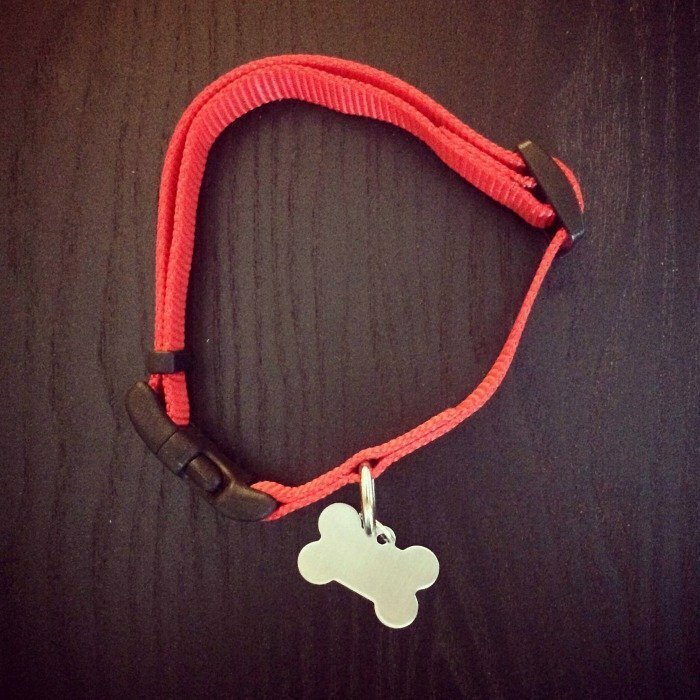 I think we’re now in good shape to bring Finley home Monday … I hope the little guy loves his new collar and tag. 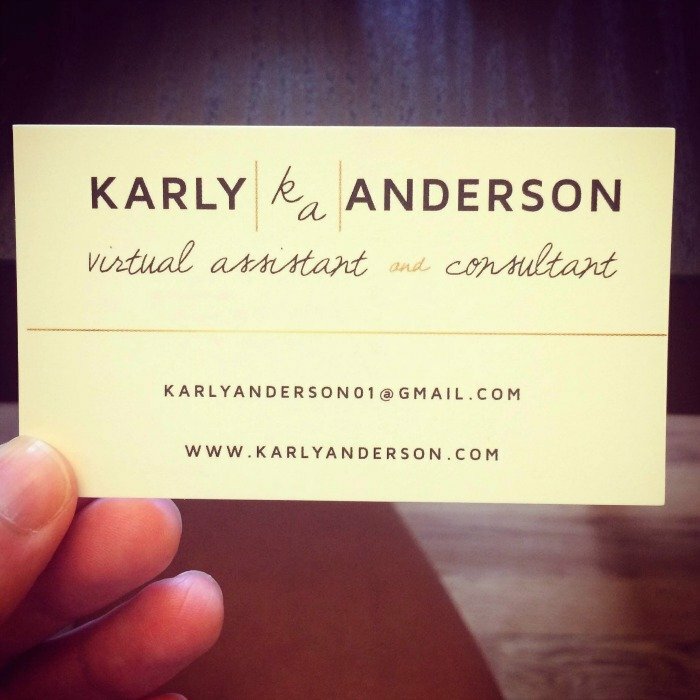 LOVE your new business cards! They look amazing! Can't wait to see all the new puppy pics! Have a great weekend! We had fun! Can't wait to bring Finn home tomorrow! Hey lady – thanks for visiting! We are SO excited for tomorrow – I'm sure it will be a special day that we will never forget. Hope you had a great weekend! Thanks girl – we had a lot of fun at the wedding! But, we are glad to be home and only a day away from picking up Finley. 🙂 Hope you had a nice weekend! Thanks, lady! Hope you're having a good Sunday! You are too sweet, thank you! A good hair appointment was exactly what I needed last week. I hope you had a fabulous weekend! Thanks, lady! 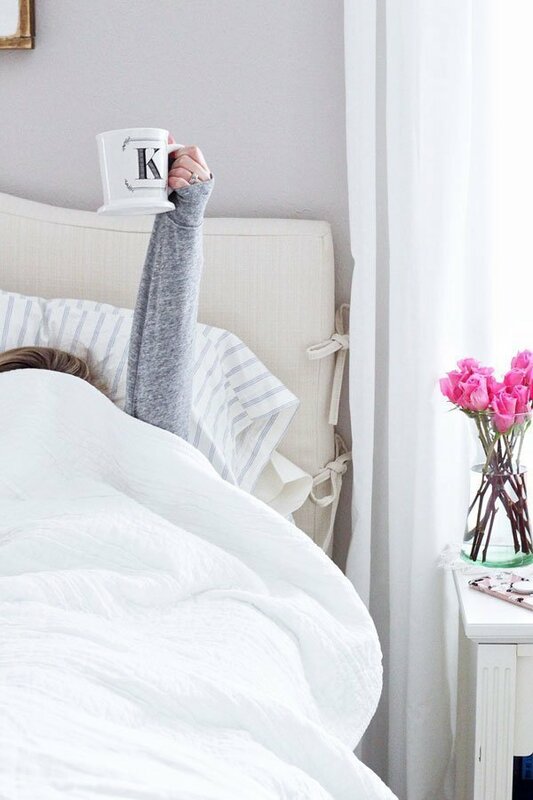 Yes, we had a great weekend, but we kind of were already thinking ahead to tomorrow. 🙂 Hope you had a great weekend! Wow, your business cards look great! Vista Print has always been hit and miss for me, so I ordered some from Zazzle. Love them, but they are 3 times the price lol. Your hair looks amazing! It's the best when you find a salon and stylist you really like! Your business cards turned out so well! I hope you guys have so much fun at the wedding! Hooray for Biana winning the giveaway, good hair, the mantle decorated with the bunting I made, baby Finn, cute biz cards, & Megan getting hitched! HAND HUG. Have a fabulous time this weekend, I'm sure it will be so much fun! Love the bunting your sister made, so cute. Excited for you to pick up your puppy! Visiting from the link up! So exciting getting a new little pup, we have two dogs and I just remember how excited I was to get my little yorkie. And it's always great to have a good hair appointment, I've been trying different places since i've moved also. Hope you have a great time at the wedding this weekend! Have a great time at the wedding this weekend – you can have fun and enjoy without the pressure! Love the hair, business card and Finley will feel special in his new collar! your hair looks amazing! love it. Love the business cards and the mantle decor! So cute! Love your business cards! They are fun, but still very professional.